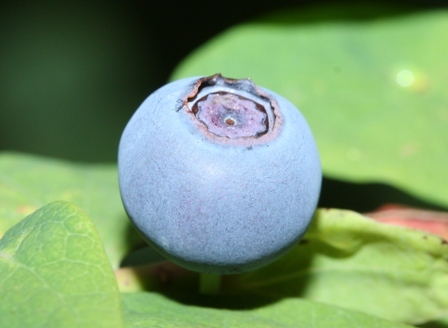 Blue huckleberry is also a fruit of North America. Its plants can be seen growing wild in coastal forests throughout southern Alaska and the Aleutian Islands. Blue huckleberry is more or less like dwarf blueberry (Vaccinium caespitosum) so far as the fruits are concerned. This species, however, differs in size. The shrubs of this fruit are from 60 – 120 cm in height. Blue huckleberry stems are angled in cross section. The flower stalks are drooping. Fruits edible, pleasantly sweet, 10 mm in diameter, mostly borne singly. The fruits have a pleasant sweet flavour. These are eaten fresh. These are also used is used in jams and jellies. The fruits are reported to be a good source of vitamin C. The fruit can also be dried for use later in the season. The dried blue huckleberry fruits have a flavour somewhat like that of raisins. A liqueur is also made from blue huckleberry fruits. Leaves of this plant are used for tea during the winter. 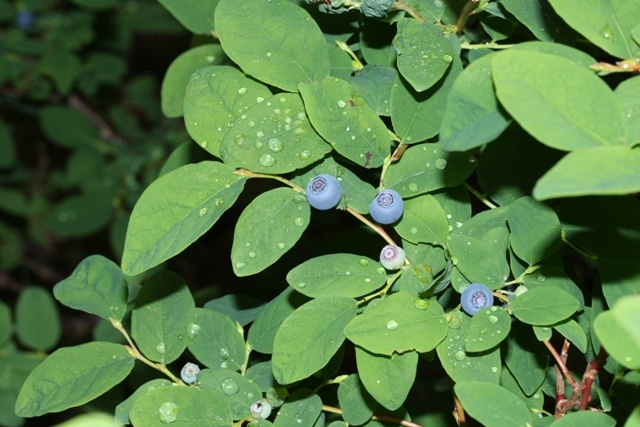 Blue huckleberry plants prefer a moist but well drained soil where the pH ranges from 4.5 to 6. The plant performs better in sunny locations which are free from winds. New plants can be raised from seed as well as cuttings and layering. The seeds require cold stratification for 12-14 weeks.